During a difficult time, a gift of heartwarming, gourmet food can be a comfort and a help. 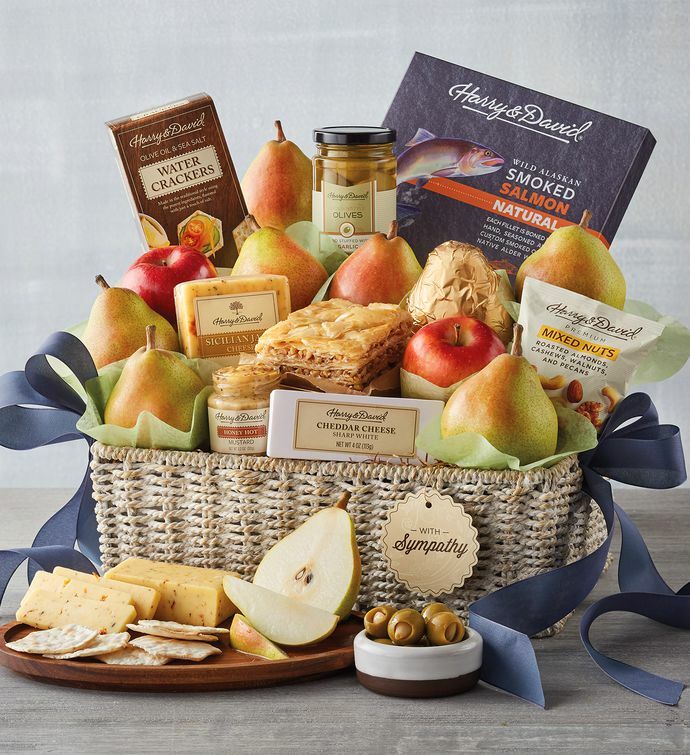 This basket includes something for everyone, including our exceptional Royal Verano® Pears, rich baklava from our bakery, and delectable smoked salmon. Tucked into the reusable, whitewashed seagrass basket, there are plenty of delights to set out for a buffet, from nuts to artisan cheeses. Gift includes a thoughtful "With Sympathy" tag.